Since I’m contemplating to move further into the crime fiction genre, I’m launching a new Interview series. 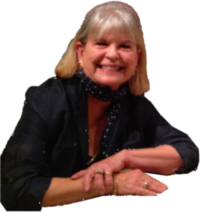 Who better to start off Mystery Mondays than the wonderful Dianne Harman, a woman whose writing I have followed and adored for years. Welcome back Dianne. Please tell my readers what type of crime fiction you write and why? Cozy mystery. I like writing in this genre because it allows me to do a lot with dogs and food, plus I always include recipes. I’ve been fortunate to spend time I many cooking schools around the world, so it’s fun to have the action take place somewhere and then share recipes.